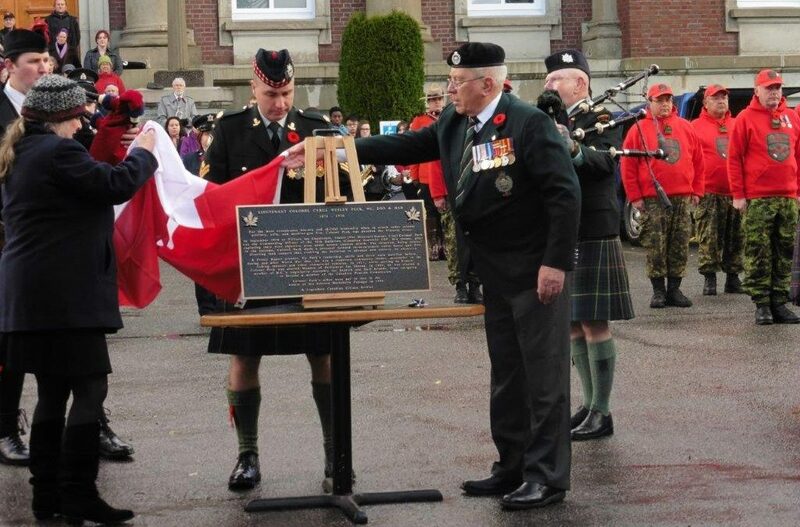 The unveiling/dedication of the bronze plaque recognizing Lt Col Cyrus W. Peck took place during the Remembrance Day Service, 11 November 2015, in Prince Rupert, British Columbia after a year and a half in the planning and casting of a Lt Col Peck bronze plaque. Many thanks to Kathleen Larkin, Deputy Librarian, Prince Rupert Library, who arranged for the mounting and final location of the bronze plaque, and was instrumental in raising donations to cover the cost of the plaque. The bronze plaque will be mounted on a large quarried stone, supplied by the City of Prince Rupert Works Department, and placed in Rotary Park facing Lt Col Peck’s beloved Metlakatla Passage where his ashes were committed. 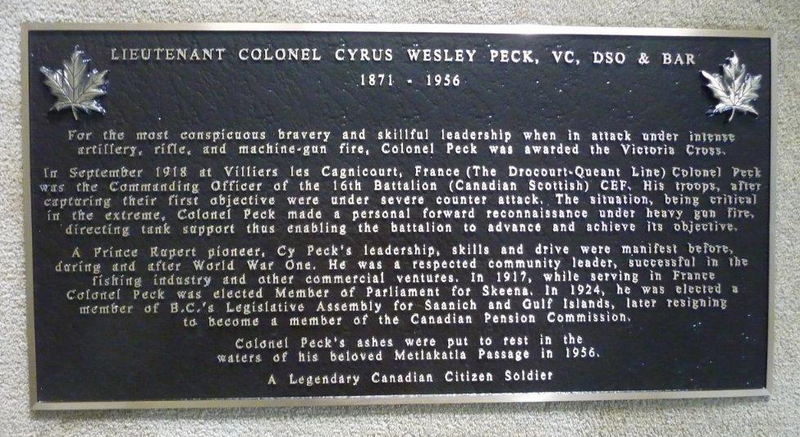 President Archie Steacy and Lynda Steacy attended the plaque unveiling/dedication ceremony for Lt Col Cyrus W. Peck, VC DSO and Bar, in Prince Rupert, B.C. “Citizens with industrial skills and leadership who are committed to developing our communities and serving their country during wartime, must be recognized and remembered. 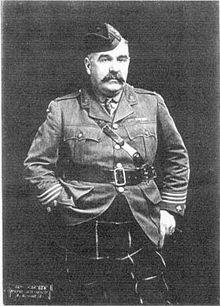 Today we have the privilege of recognizing and honouring Lieutenant Colonel Cyrus W. Peck, VC DSO and Bar, one of Prince Rupert’s former distinguished citizens and a Victoria Cross hero of World War One. 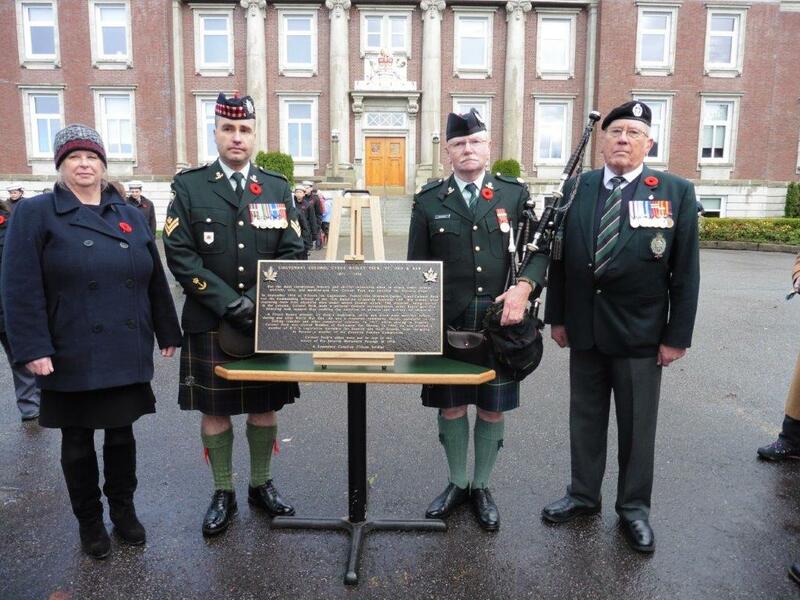 Over the past year, Mrs. Kathleen Larkin, Deputy Librarian and Lieutenant Colonel (Retired) Archie M. Stacey, CD UE, President of the British Columbia Veterans Commemorative Association, with the generosity of numerous donors, cast a bronze plaque acknowledging Lieutenant Colonel Peck’s civilian accomplishments and military heroism. The Last Post sounded, followed with two minutes of silence. 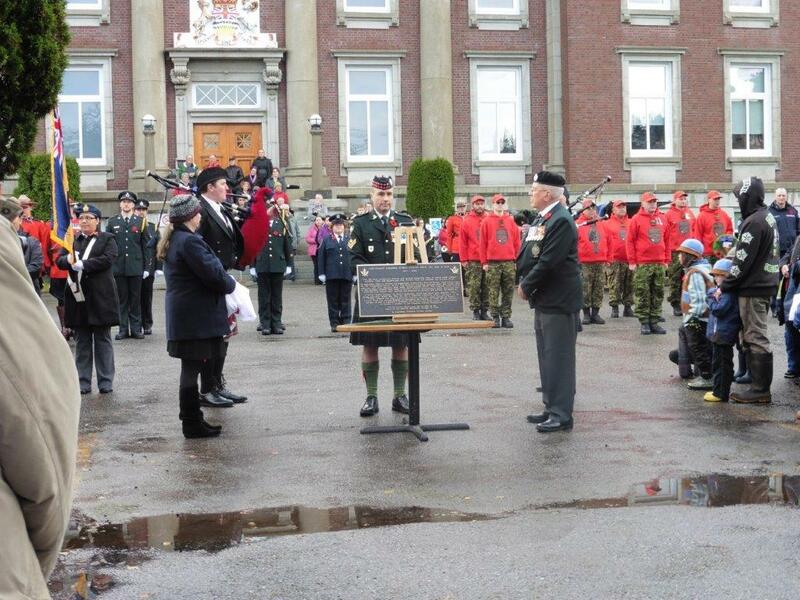 The Lament – Scottish Regiment Piper MCpl Dale Drysdale and Reveille sounded. It was indeed a most appropriate addition to the Remembrance Day Service with the rain and cold wind subsiding during the service.